PALO ALTO — Her studies first brought her West, but for Christine Margaret Blasey Ford, the move to California proved a way to leave behind what had gone wrong in her teenage years in the patrician suburbs of Washington, D.C.
Born into a well-off family in Montgomery County, Maryland, Ford has said she spent years working to recover from an assault as a teenage girl in that world of prep school parties — by Supreme Court nominee Brett Kavanaugh, she would disclose years later. Long before she decided to come forward, Ford, now 51, had built a new life for herself in Malibu, Honolulu and the Bay Area, embracing academia, surfing, cheering on the Stanford football team and taking in outdoor rock concerts. Ford settled in the Silicon Valley in the 1990s, when the first wave of the tech boom was transforming lives around her and startups were replacing peach orchards. She began working as a research psychologist and biostatistician at Stanford University, one of the most elite universities in the country. She later was hired as a professor in a consortium between Stanford and Palo Alto University. Soon, she married her husband in a nearby coastal town, and they bought a classic Eichler home in Palo Alto and had two sons. "She is very friendly, outgoing and brilliant, and she is a great mother," said clinical psychologist Erin Heinemeyer, a mentee of Ford's who is also a friend. "I know in general she supports women's rights, and she often stands up for students, and she had expressed concerns to me about other students who might be struggling." 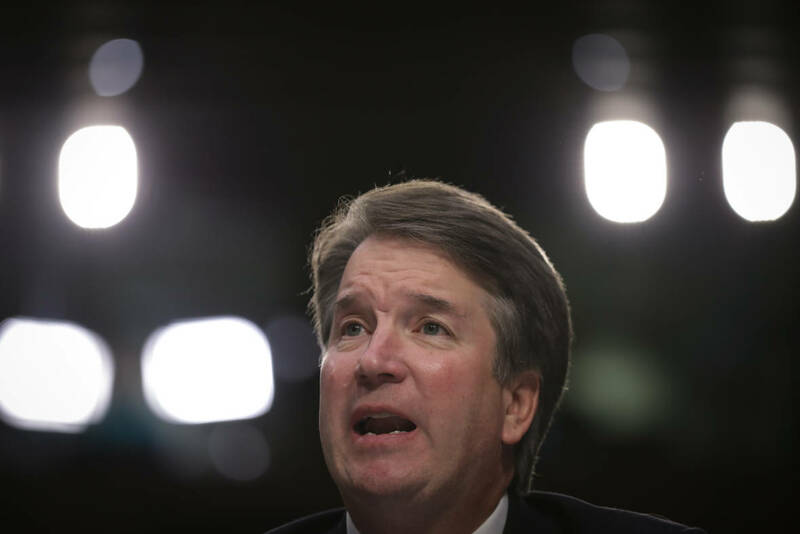 Months after anonymously contacting her elected officials, Ford went public on Sunday, telling The Washington Post that Kavanaugh pinned her to a bed at a Maryland house party in the early 1980s and tried to take her clothes off. He put his hand over her mouth when she tried to scream, she said, and she feared he might inadvertently kill her. She said she was around 15 at the time and he would have been about 17. Friends and family members say she struggled with the decision to come forward. "She clearly has nothing to gain and much to lose by going public with her story," said Jim Gensheimer, a friend of Ford's. "I know from things she has told me, including her need to have more than one exit door in her bedroom to prevent her from being trapped, that this event was serious enough to have a lasting impact on her life." Ford's mother-in-law, sisters-in-law and other members of her husband's family released a letter Wednesday asking that her "private and difficult recollection be treated seriously and respectfully." "We believe that Chrissy has acted bravely by voicing her experiences from the past, and we know how difficult this is for her," said the letter signed by 11 of Ford's in-laws. Through the White House, Kavanaugh issued a statement saying he "categorically and unequivocally" denied the allegation. "I can only say this: He is such an outstanding man. Very hard for me to imagine that anything happened," President Donald Trump said Wednesday. "I think it's a very unfair thing what's going on." The allegation has shaken up the battle over Kavanaugh's confirmation, and Republicans are calling for a public hearing with both the accuser and the accused testifying. But lawyers for Ford say that she wants an FBI investigation of her allegation before a Judiciary Committee hearing set for Monday. The lawyers said in a letter that Ford wants to cooperate with the panel. But they say that in the days since she went public with her allegation, she has been the target of "vicious harassment and even death threats." Her family has relocated, they said. 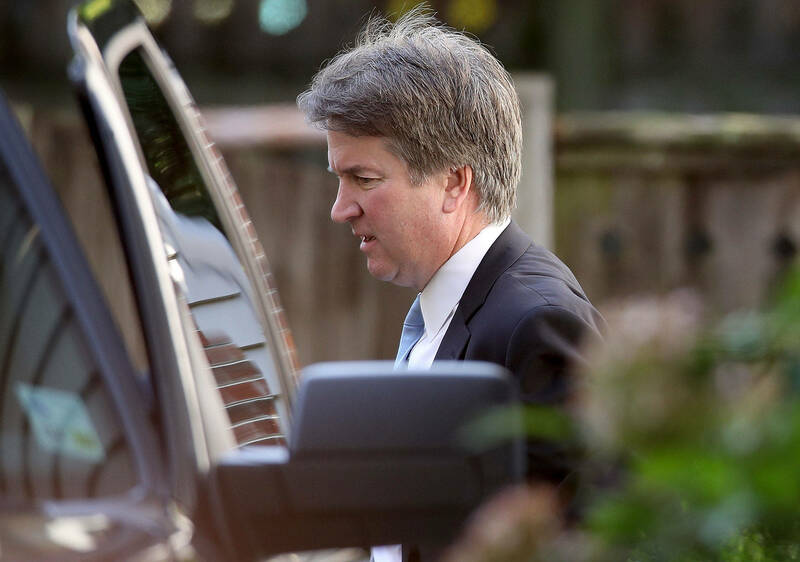 An FBI investigation "should be the first step in addressing the allegations," the lawyers wrote Tuesday in a letter obtained by The Associated Press. Kavanaugh supporters have called Ford's credibility and motivations into question. 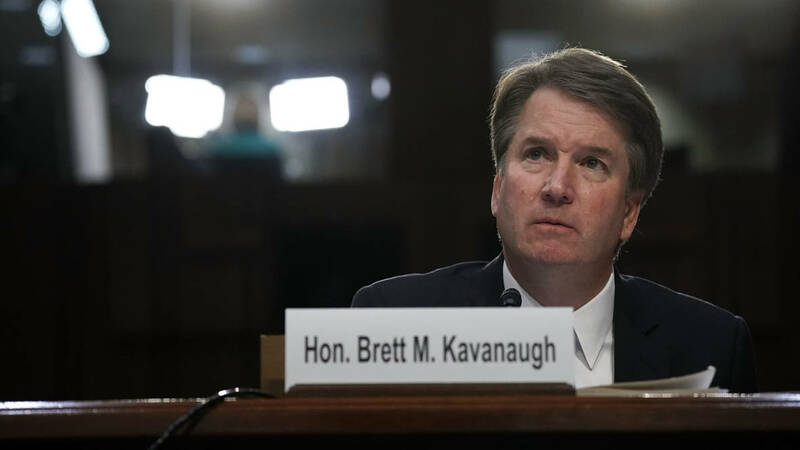 Sen. Orrin Hatch, R-Utah, told NBC News that Ford is "mixed up" and called Kavanaugh "honest" and "straightforward." Several former colleagues said that, as a biostatistician and psychologist, Ford was known for her scrupulous and meticulous professional conduct. She has published several books and more than 65 peer-reviewed journal articles. Her work often involves analyzing data gathered in medical studies ranging from investigations of new depression treatments to opioid addiction interventions and traumatic brain injury research. Sarah Adler, a former student of Ford's who is now a clinical psychologist at Stanford, co-organized a letter in support of her former professor that had been signed by more than 300 colleagues and former students by Tuesday afternoon. Another letter of support has been signed by more than 700 graduates of her private prep school, Holton-Arms. "I think she felt morally compelled to come forward, which is very much in line with what I know of her," said Adler. "She analyzes the data and lets the data tell the story." Ford values clear professional boundaries and isn't one to share personal struggles with coworkers, the former colleagues said. "She never said a word about this," said Allan Reiss, a Stanford professor of psychiatry with whom she has written numerous scholarly publications. "But the fact that I know her as a person of integrity and honesty, it doesn't surprise me that she came forward and that she has a personal sense of the importance of what she has to say." It was in couples counseling with her husband in 2012 that she first described an encounter with Kavanaugh in her freshman year of high school, she would later disclose. Timothy Avery, a former student who is now a postdoctoral research fellow, said he and many others admire her intellect and her kindness on the job. "She has reviewed statistics for trials and research being presented to the federal government," Avery said. "This all requires a great deal of integrity. Other statisticians review her work, and she reviews theirs." Colleagues and former students described her as competent and laid-back, someone who is sure of her own footing and who balances work and family. Even as her appearance before the Senate Judiciary Committee remains up in the air, Avery said he thinks Ford can handle the blazing national spotlight. "It's obviously terrible to have to deal with but because her dedication to truth is more important than her personal difficulties, I think she can handle it," he said.